The 2005 film "Lord of War" was said to be based on the life of Viktor Bout, who is now facing trail in the US for alleged arms trafficking. 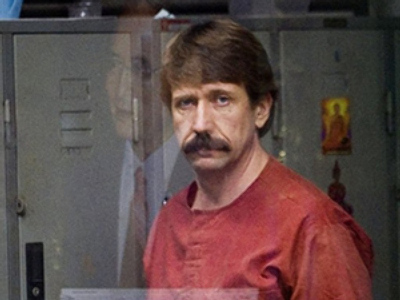 Viktor Bout, 44, is sitting in an American prison waiting to stand trial on charges of alleged arms trafficking. But he faces an uphill battle proving his innocence thanks to a Hollywood script of his life that distorts reality. The incarcerated Russian, who has been dubbed the “Merchant of Death” in the US, says he feels like he has become a “brand,” created and manipulated for the purpose of making money. "This is a myth, which exists by itself and does not have anything to do with my real life,” Bout said in an interview to be published in the Wednesday issue of Rossiiskaya Gazeta. “It was once created, and money has been invested in it like in a brand, so as to make more money." Bout sneered when asked to comment about the charges he faces in the United States. "If the American agents got information about me from a book or from the film starring Nicolas Cage, I feel sorry for them, the country they work for, and the people who have made all this up," he said. Bout, or at least the Hollywood-contrived version of Bout, has helped generate big bucks for Hollywood, while blowing holes in Bout's chances for release. In the 2005 Hollywood film, “Lord of War,” Nicolas Cage stars as Yuri Orlov, the “fictional” international arms dealer whose life is loosely based on that of Viktor Bout. According to Box Office Mojo, “Lord of War,” earned a very respectable $24,149,632 at US box offices and $48,467,436 on the foreign markets, for a worldwide total of $72,617,068. This figure does not include DVD sales, which would easily put this film’s total value over the $100 million mark. A former Soviet military translator who is said to be fluent in six languages, Bout went on to build a successful air cargo business during the 1990s and early 2000s. He continues to defend himself as a simple businessman who has been wrongly accused. At least part of Bout’s bad-guy image stems from his fearless willingness to travel to places nobody else would dare go. And that is where the true story of Viktor Bout smashes up against his sensationalized Hollywood persona. Meanwhile, it seems the “Lord of War” also had a soft spot for philanthropic work. In addition to fearlessly doing business in danger zones, “Bout delivered aid too – to both the south Asian tsunami victims in 2004 and Pakistani earthquake zone in 2005 – and shuffled UN peacekeepers and weapons into Darfur,” the British daily added. Bout has one request when it comes to such claims: prove it. Can Viktor Bout get a fair hearing in the US? "In the age of a contemporary media industry, in which people have no time to look into a situation, nobody has ever bothered to investigate or at least verify the unfounded rumors that have been spread about me," he told the Russian daily. He then ridiculed the allegations that his air cargo compnay was involved in arms trafficking. "They say there were planes at the Sharjah airport that transported weapons somewhere. But did all the planes flying from this airport really belong to me? Then show me at least one confirming document bearing my signature. There are none!" Bout said. The Russian national also denied owning assets worth billions of US dollars. "The establishment of an arms trafficking business empire has been attributed to me, and it's been said my assets worth billions of dollars have been frozen,” he said. “But show me these assets if they exist! All the money to pay [for my] lawyer is currently being collected by my family." 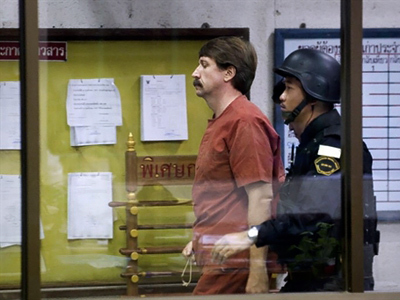 Viktor Bout was extradited to the United States from Thailand in 2010 after spending several years in a Thai jail pending trial. In the U.S., he has been charged with arms trafficking, conspiring to kill U.S. citizens and even supporting terrorism. These are no small charges, and it will do Mr. 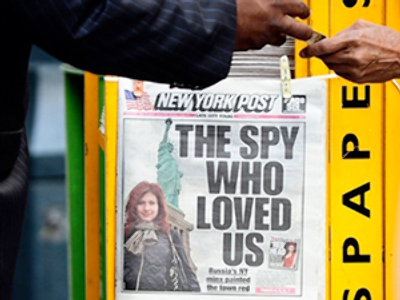 Bout's defense team no favors that the court hearing comes around the 10th anniversary of the 9/11 attacks. "The US charges are not applicable under Thai law," the Thai judge ruled. 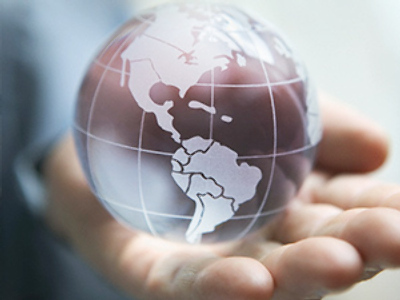 The United States, however, appealed that judgment, and almost one year later an appeals court reversed the original decision, thus clearing the way for Bout to be extradited to the United States. 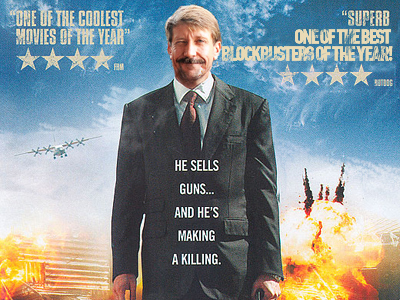 If found guilty by the US court, Viktor Bout could face up to 25 years to life in prison. His trial is scheduled to start on October 11. Bout will be defended by attorney Albert Dayan, who is best known for securing the acquittal of one John Micali, who was allegedly associated with the Gambino crime family.